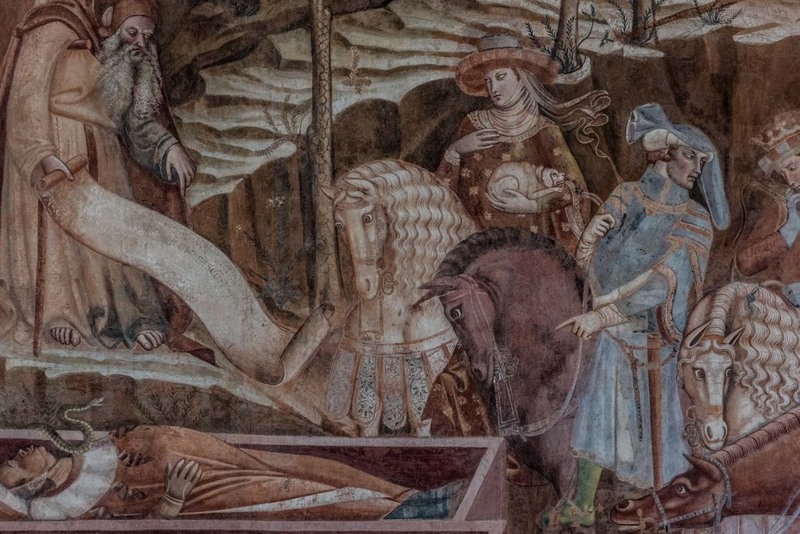 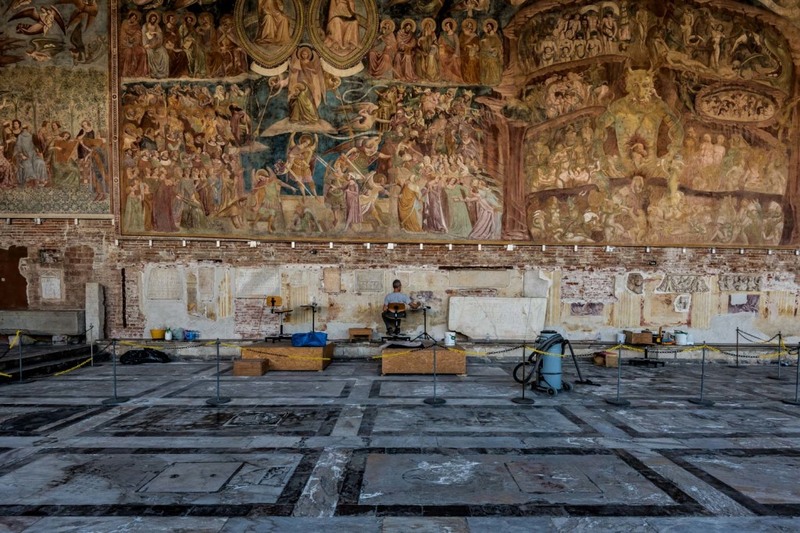 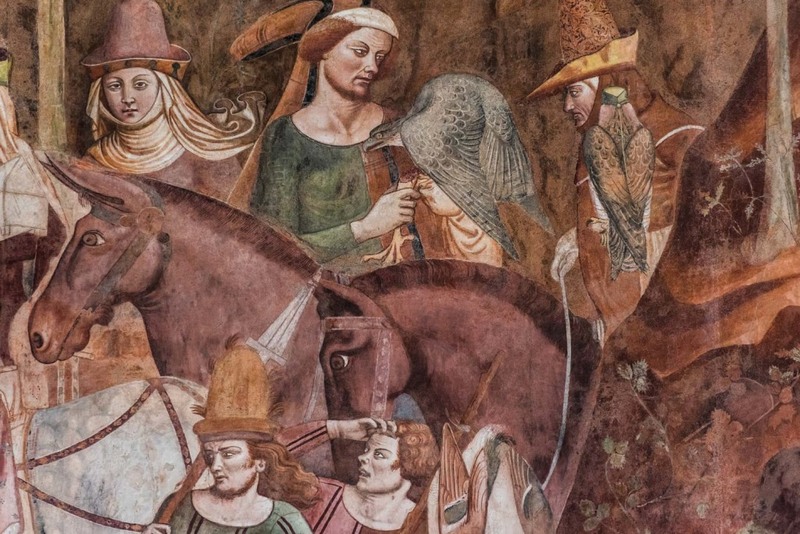 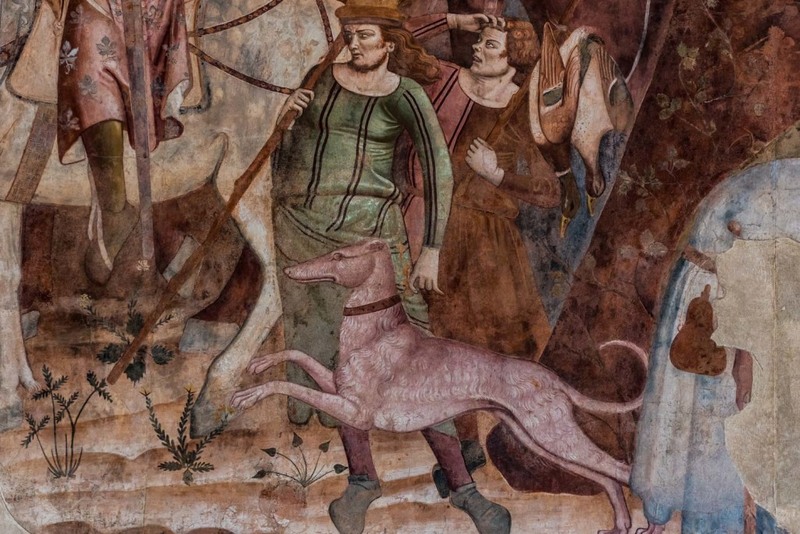 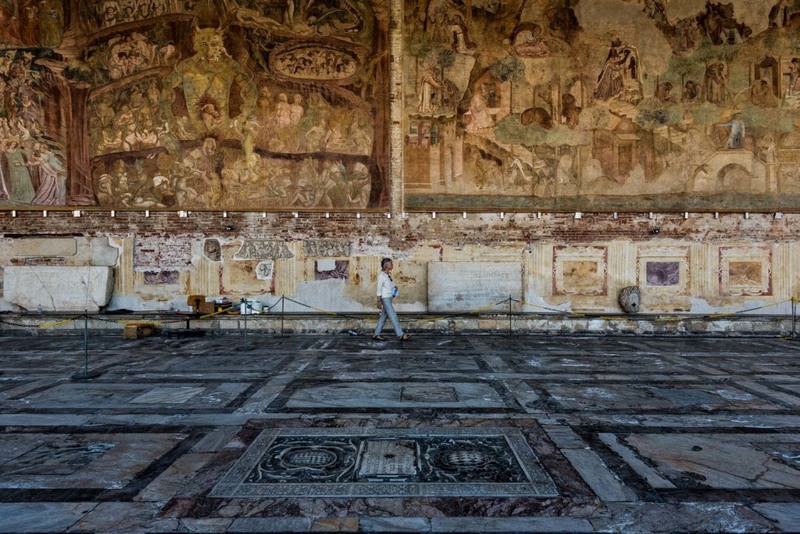 The famous cycle of frescoes known as the Triumph of Death was completed for the Campo Santo of Pisa between 1336 and 1341. 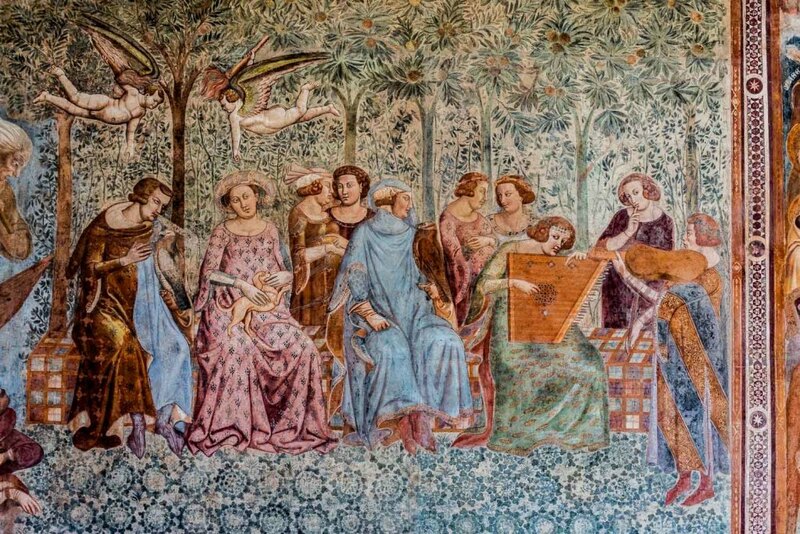 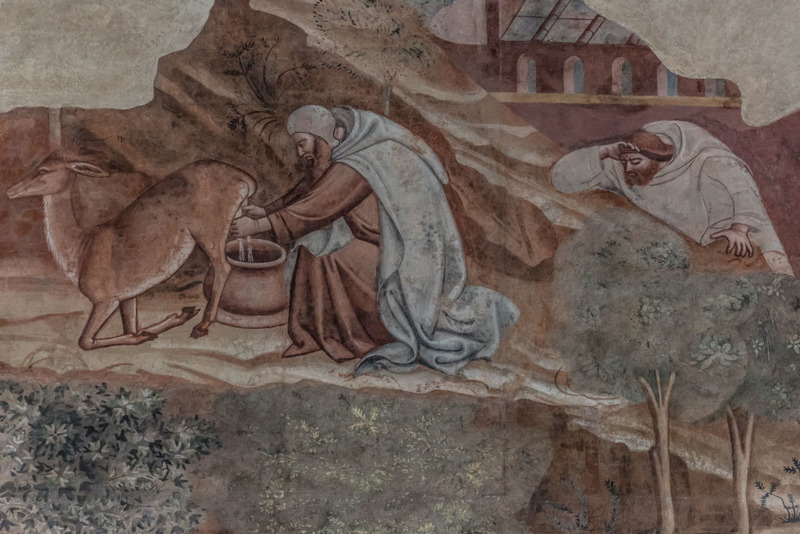 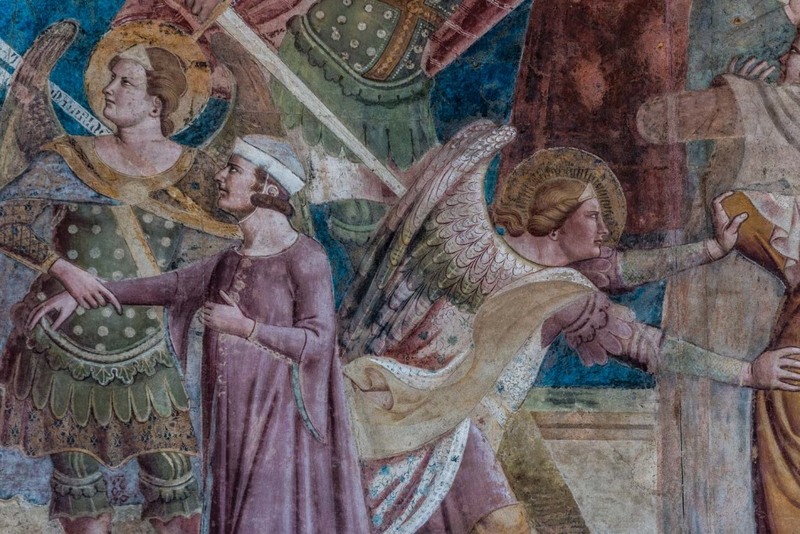 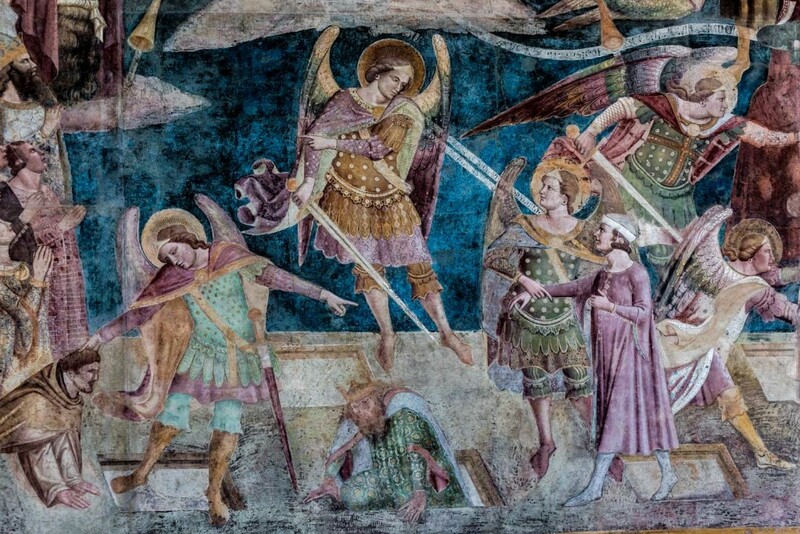 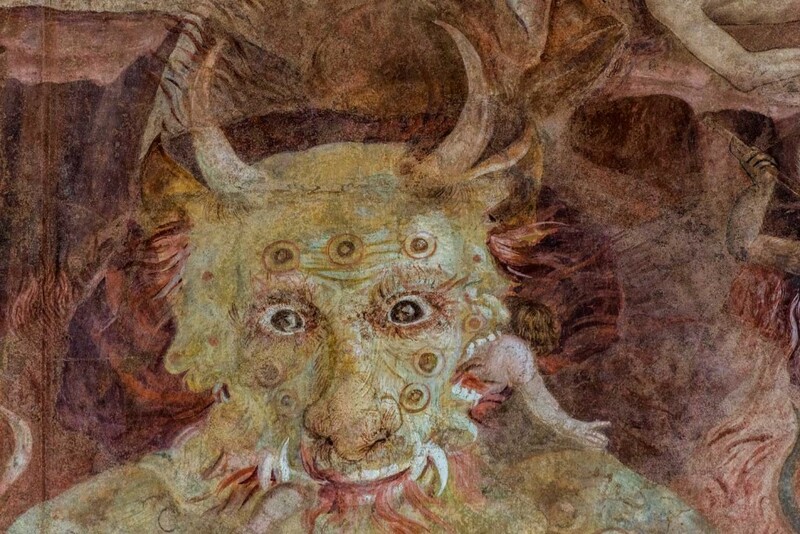 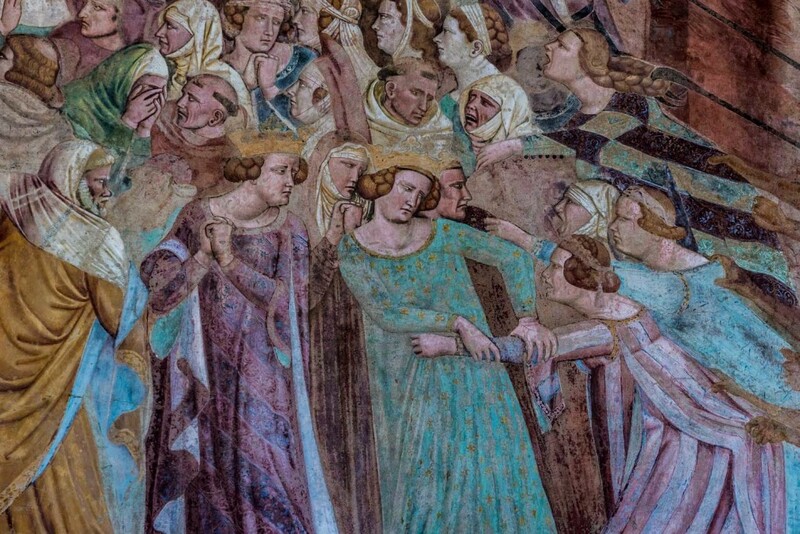 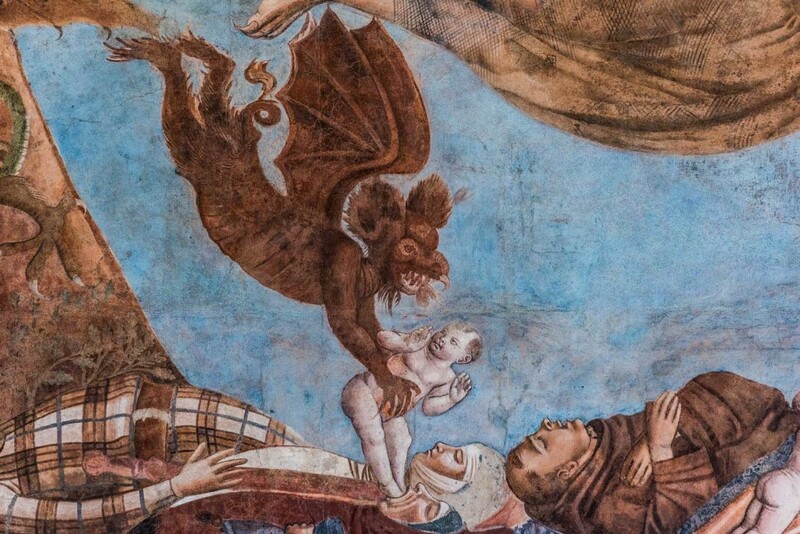 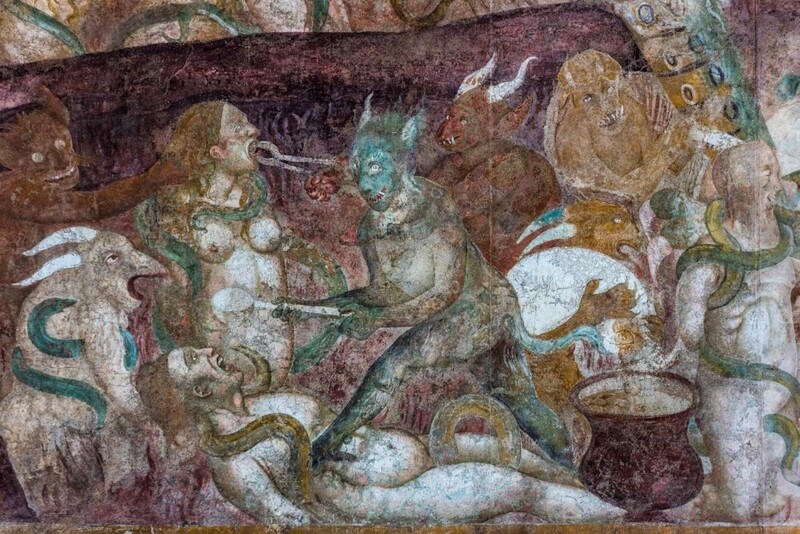 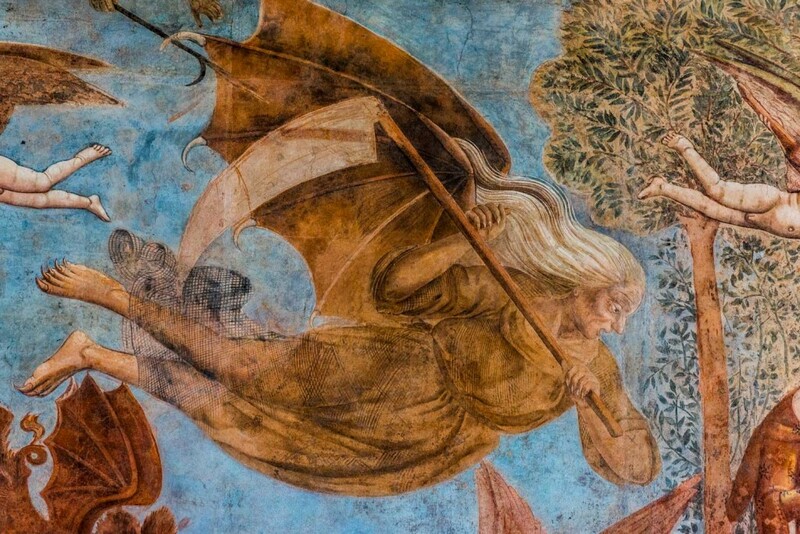 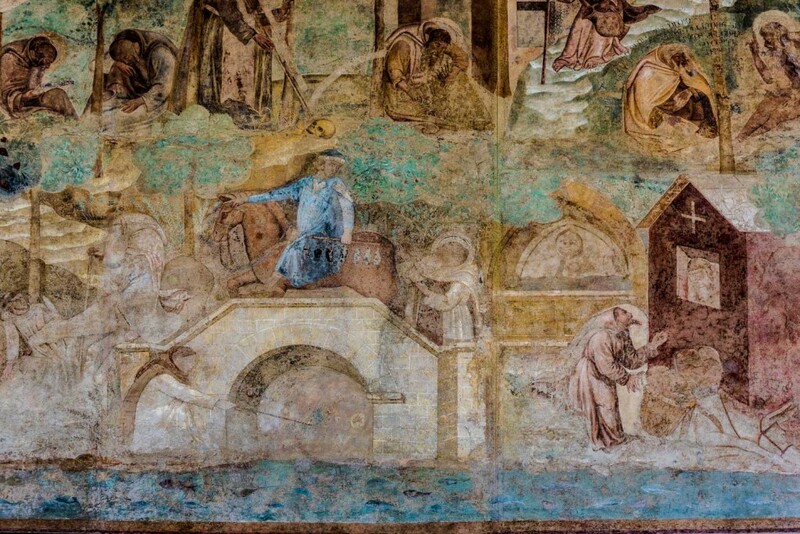 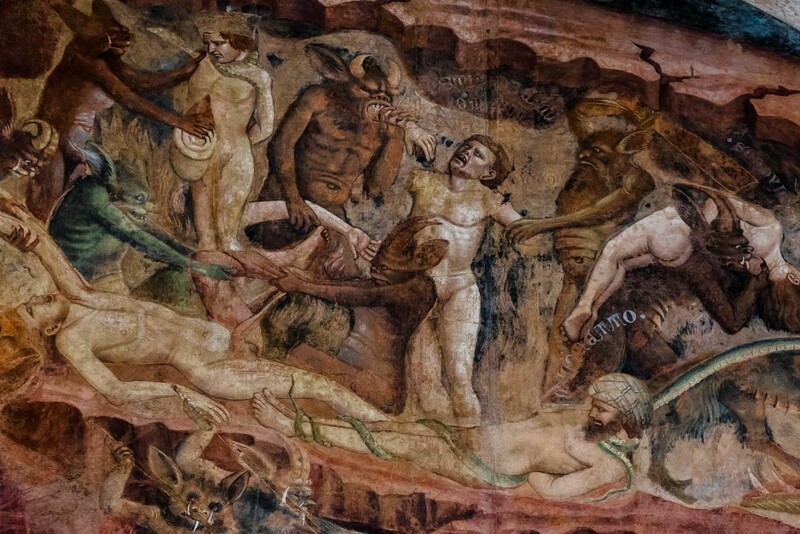 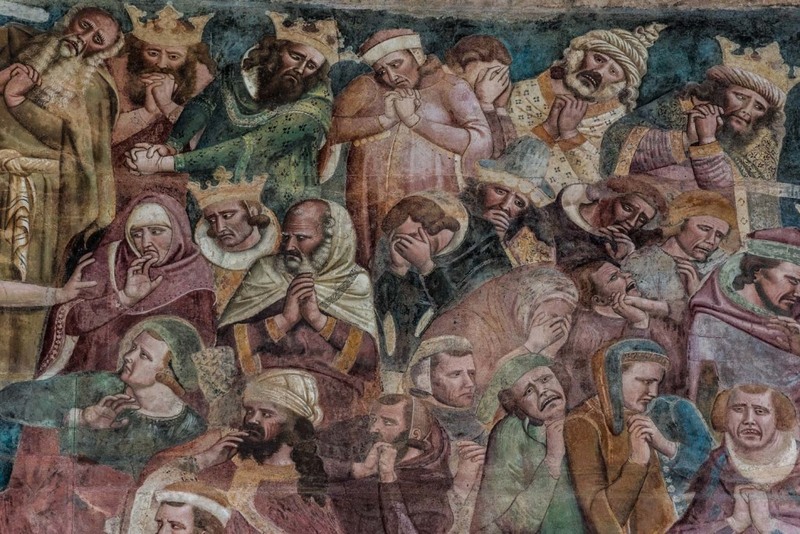 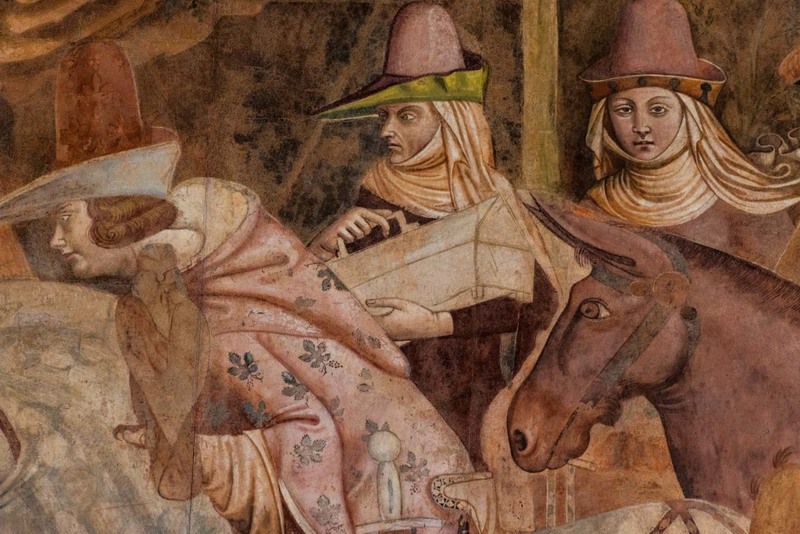 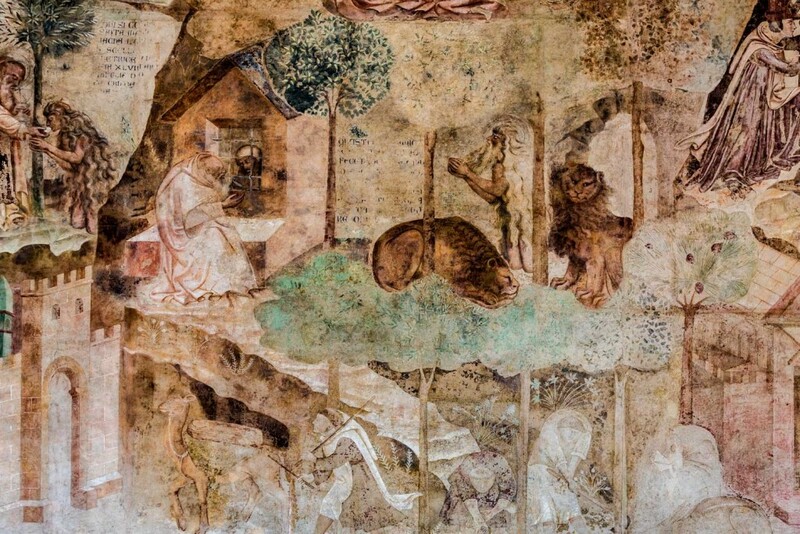 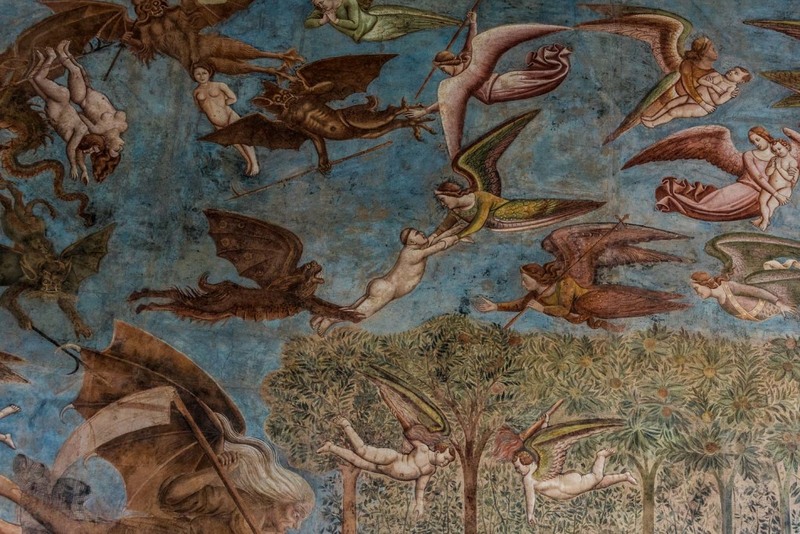 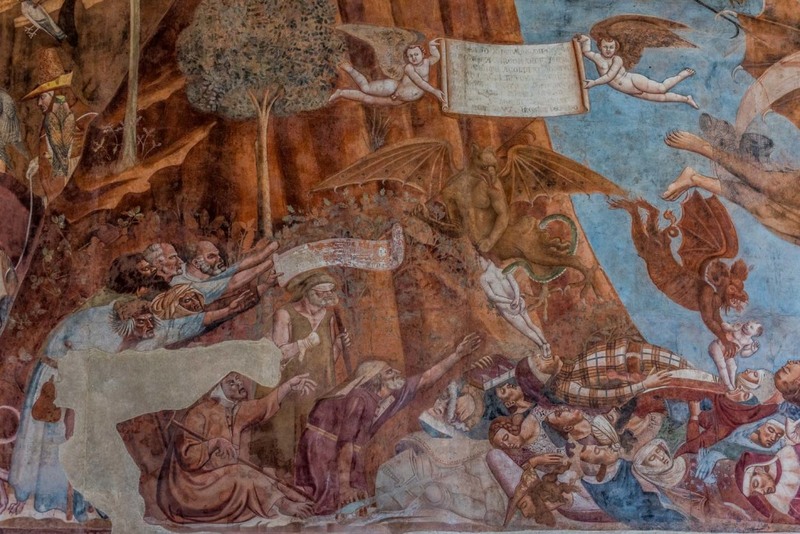 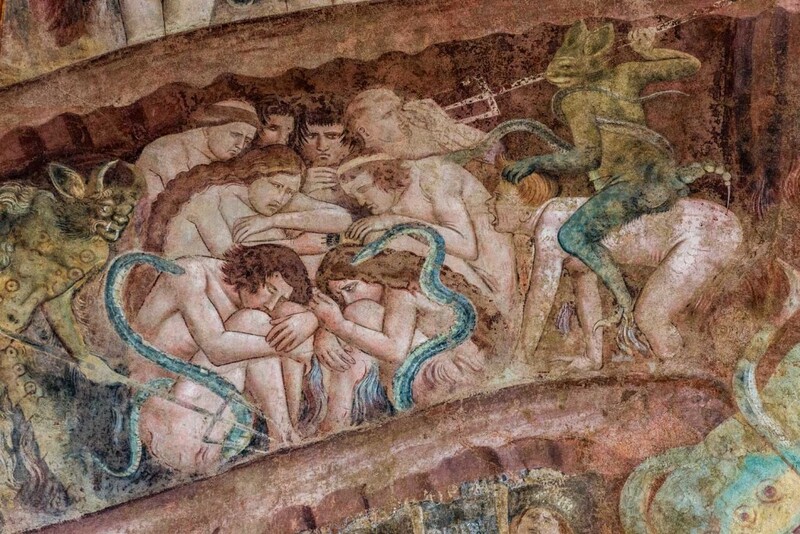 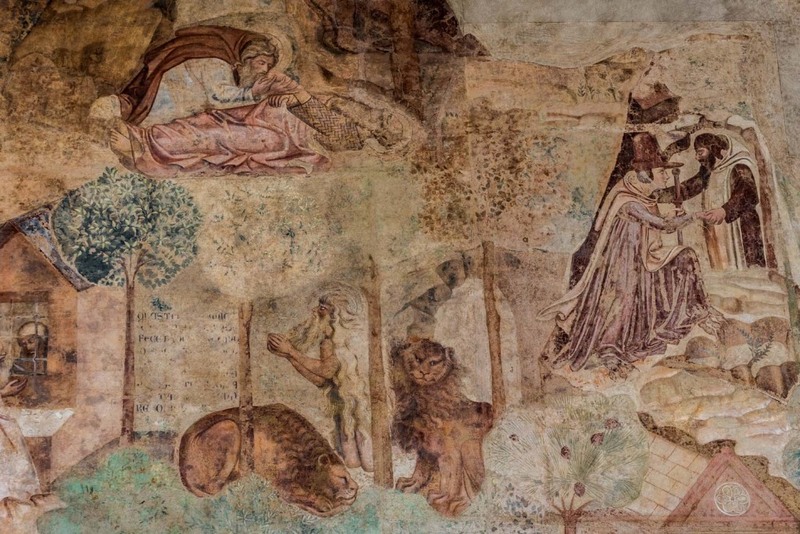 Painted by Buonamico Buffalmacco, protagonist of many novels by Boccaccio, it consists of three different scenes: Stories of the Holy Fathers, the Last Judgment and the Hell and the Triumph of Death. 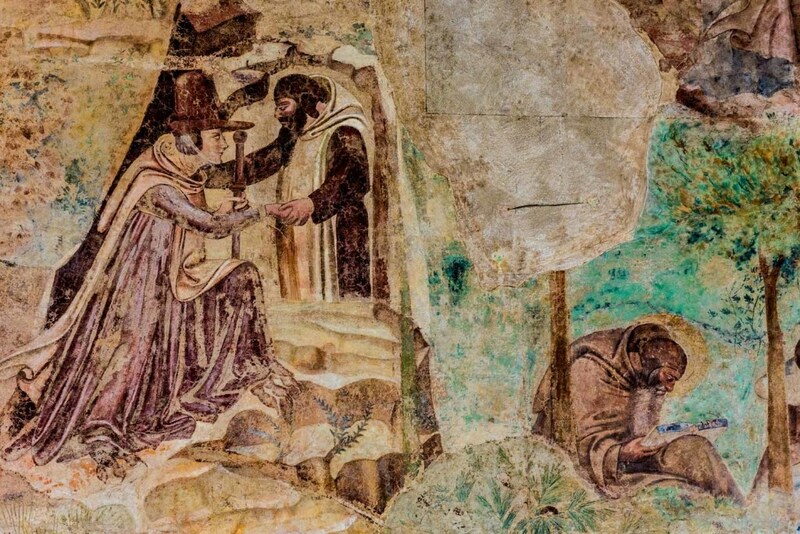 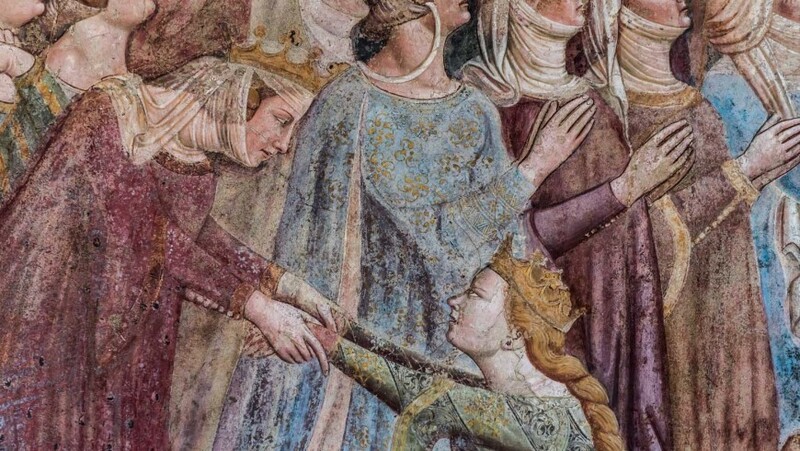 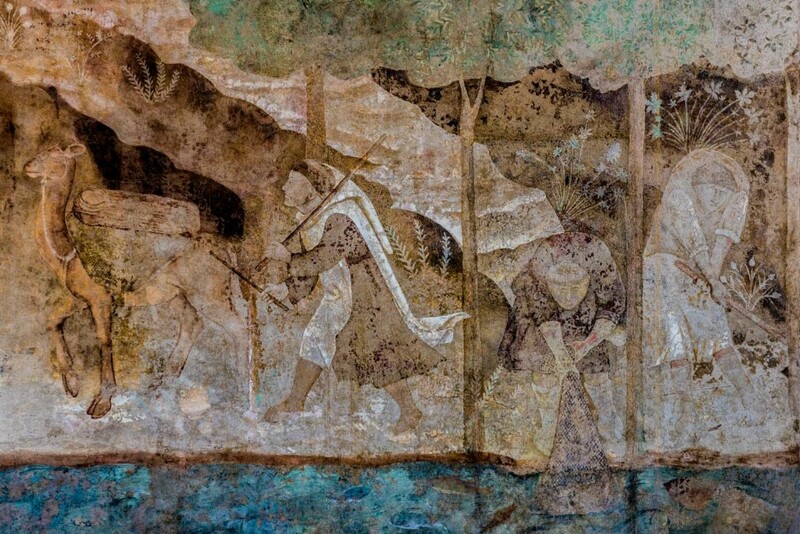 It is in this scene that the painter reaches its maximum expression, combining different autonomous narrative units, functional to the representation of the theme. 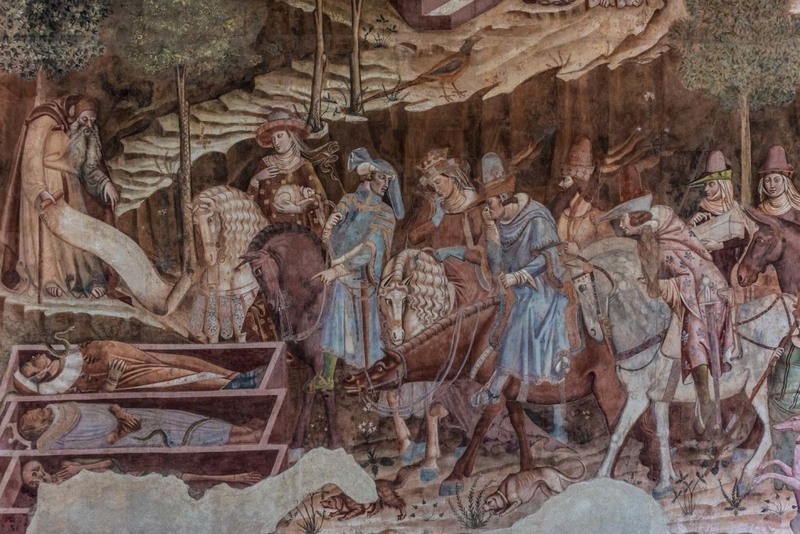 On the far left, three corpses suddenly discovered by a brigade of elegantly dressed young men, engaged in a hunt; in the middle a group of cripples and beggars in the act of invoking the rapid end that has already reached lay and ecclesiastics by their side; on the right, there is the loving conversation of the courtesans gathered in a luxuriant garden, all overwhelming death, accompanied by a host of winged demons struggling in the sky against the angels to conquer the souls of the dead. 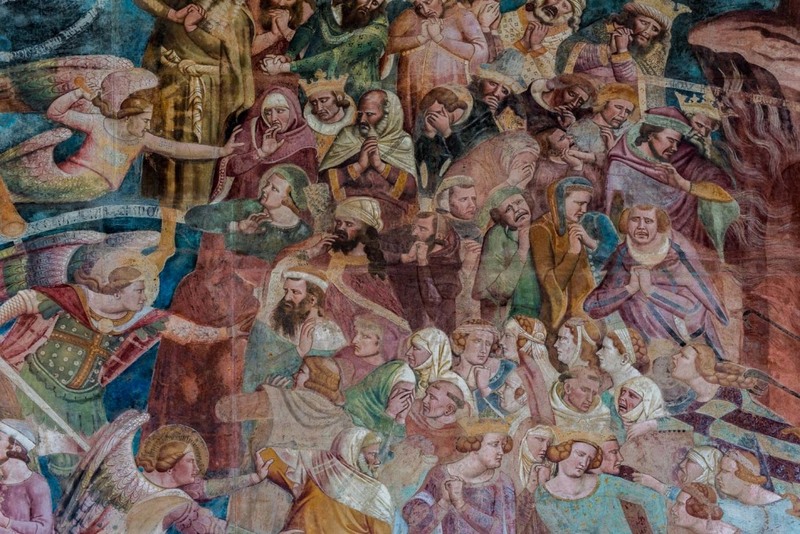 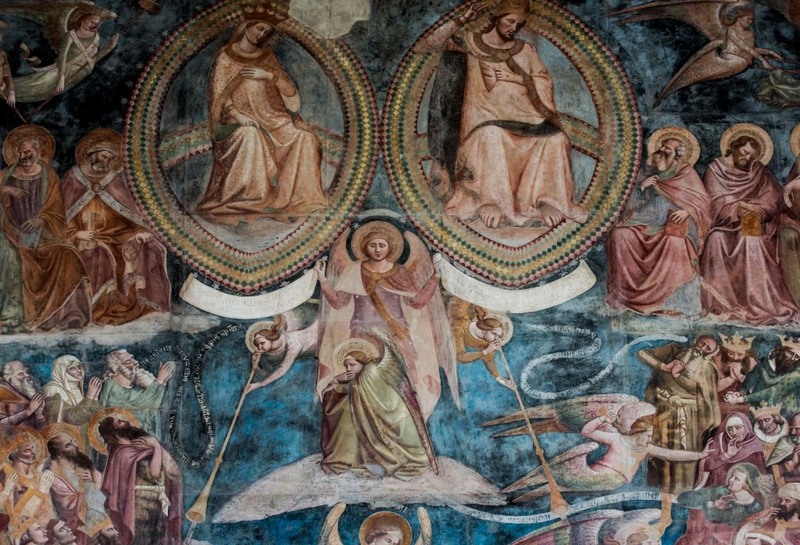 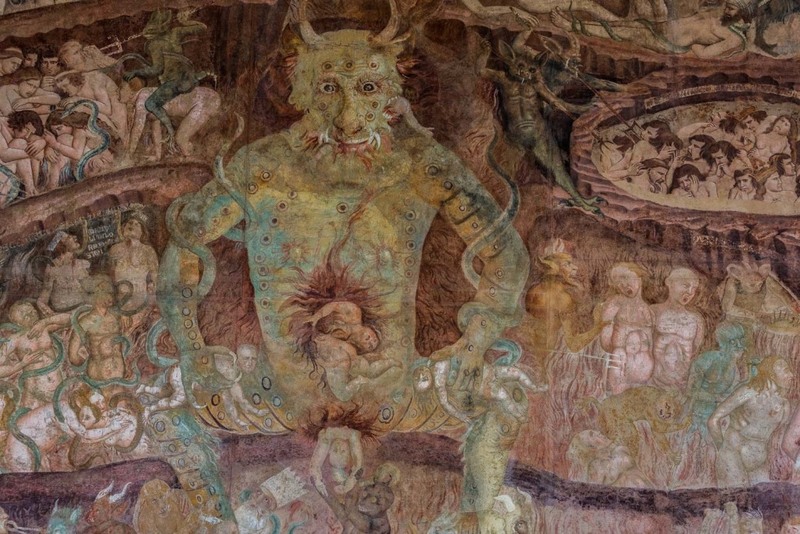 Also the scene of the the Last Judgment is set on two levels: Christ and the Madonna at the top, flanked by angels and the celestial sphere, while in the lower order the dead are divided among the elected, held to the right of Christ, and the damned dragged into the circles of Hell. 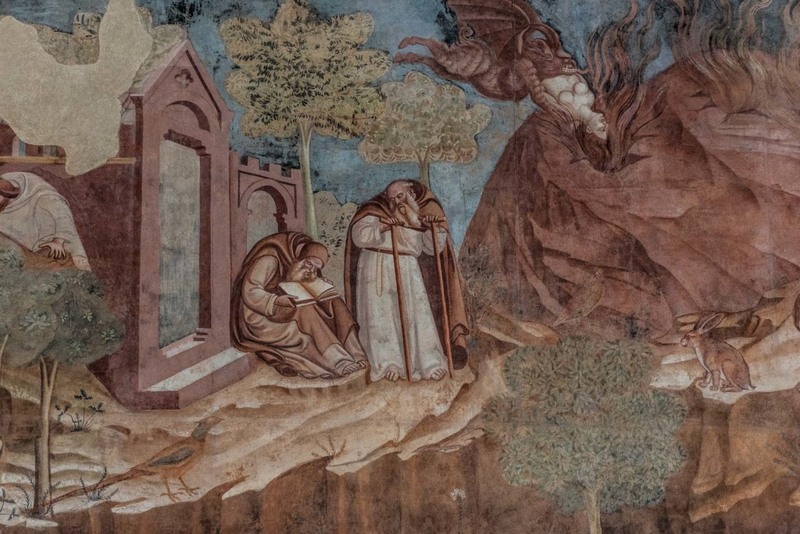 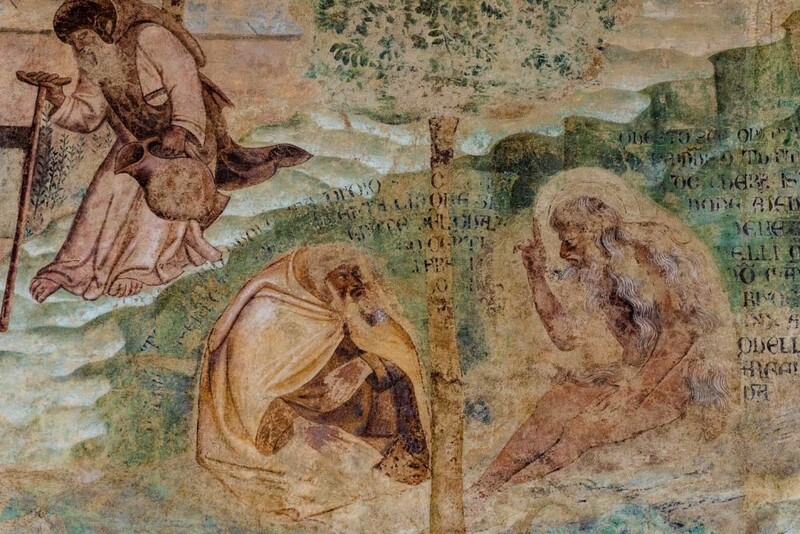 The narration continues with the next scene, the Stories of the Holy Fathers, or the anchorites tempted in the Egyptian desert by the demon that appears in a thousand disguises.